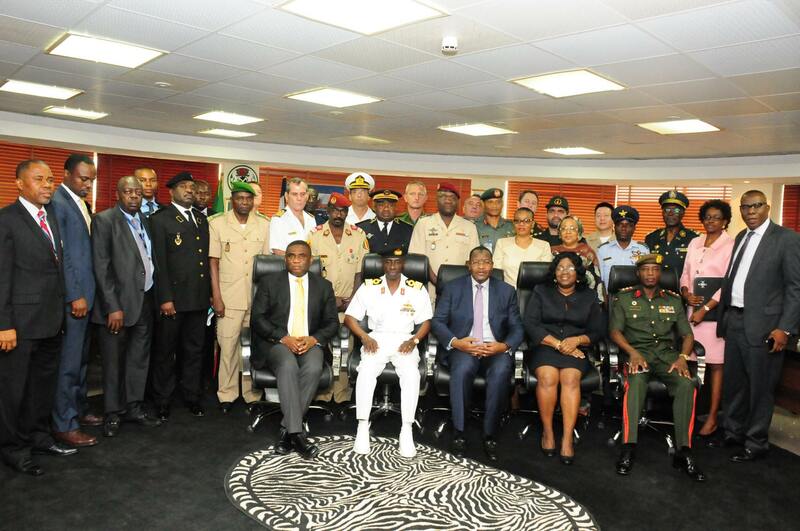 Members of the Defence Intelligence Agency (DIA) and Foreign Defence Attachés, paid a visit to the Nigerian Communications Commission’s Head Office in Abuja on the 7th of September, 2016. The delegation was received by the Executive Vice Chairman of the Nigerian Communications Commission, Prof. Umar Garba Danbatta together with other management of the Commission. Prof. Umar Danbatta welcomed the delegation and spoke on the huge investment opportunities that exist in the Nigerian Telecoms Industry. He spoke on the tremendous achievements and growth the Nigerian telecom sector has had since its liberalization by the Federal Government in 2000, which led to an increase in Foreign Direct Investment (FDI) from $50 million in 2001 to over $60 billion in 2015. The EVC also spoke on the recent statistics released by the Nigerian Bureau of Statistics (NBS) which showed that the Nigerian Telecommunications sector had grown by 1% from the first quarter of 2016 and now contributes 9.8% to Nigeria’s Gross Domestic Product (GDP) in the second quarter of 2016. 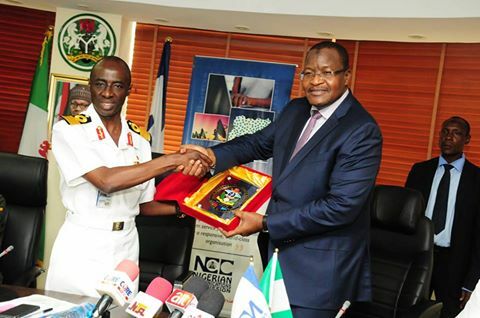 The Deputy Director, Foreign Liaison of the Defence Intelligence Agency, Commodore Aliyu Hassan, who led the delegation, thanked Prof. Umar Danbatta for receiving the team and commended the Commission for its efforts towards developing the telecom sector and its efforts in using ICT to hinder and stop threats to the Nations National Security. The Defence Intelligence Agency (DIA) was established in 1986 to provide an efficient system of obtaining military intelligence for the Armed Forces/Ministry of Defence. The Foreign Defence Attachés were made up of military officers form multiple Nations including Japan, Italy, Mali, Niger, Russia, United States of America and Zambia.